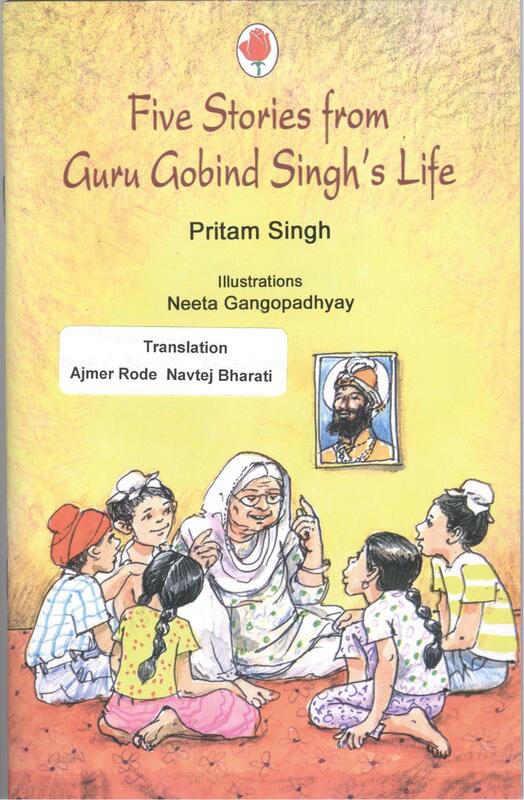 These stories by Professor Pritam Singh a renowned Punjabi scholar were written in Punjabi. He asked Navtej Bharati (once among his favorite students at Mohindra College Patiala) and me to translate them into English so they could be available to Sikh students abroad. We translated them but the publisher, because of some reason unknown to us, refused to acknowledge our names on the cover of the publication. Not worth making a fuss but strange are the ways Indian publishers sometimes treat the translators outside India. Prof. Pritam Singh had to mention our names in his forward. Perhaps the best thing about these stories is the creation of a character, nani ji, who narrates these popular Sikh stories to children. Nani ji by telling these stories brings back that precious relationship between grand parents and children that once existed in Punjab.